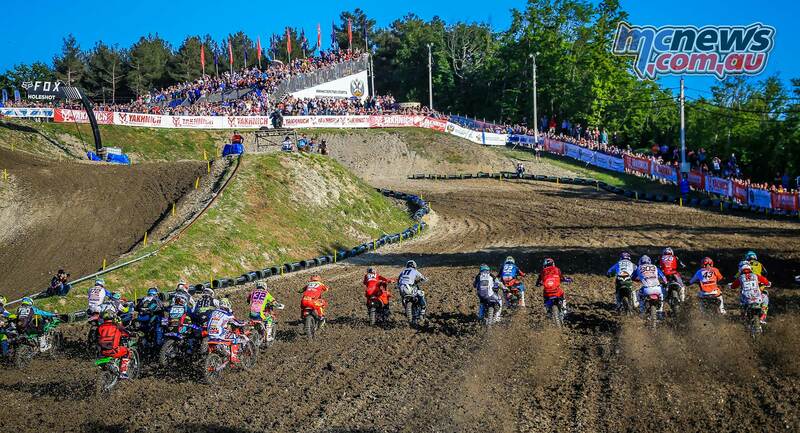 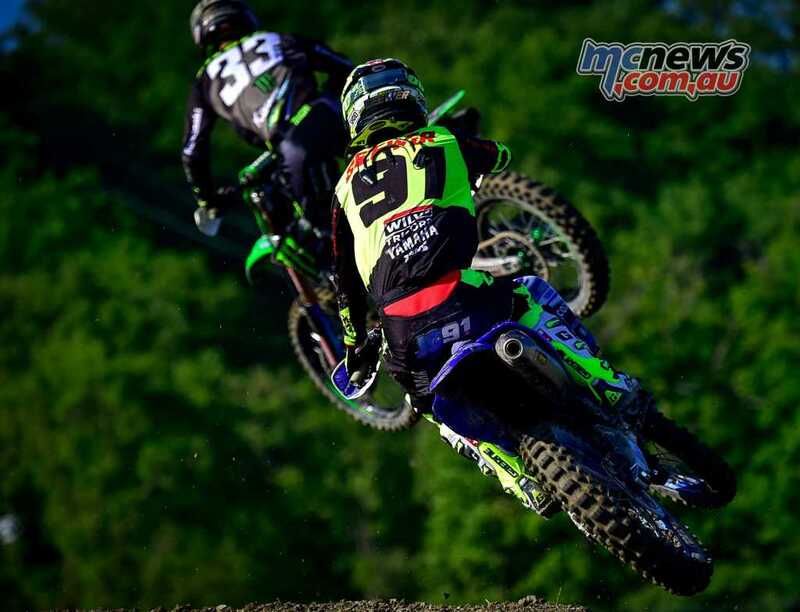 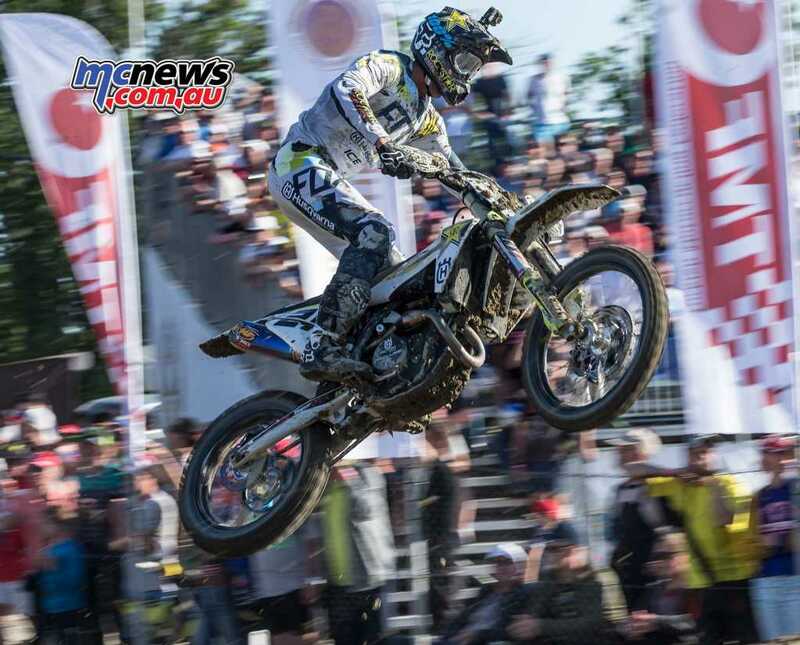 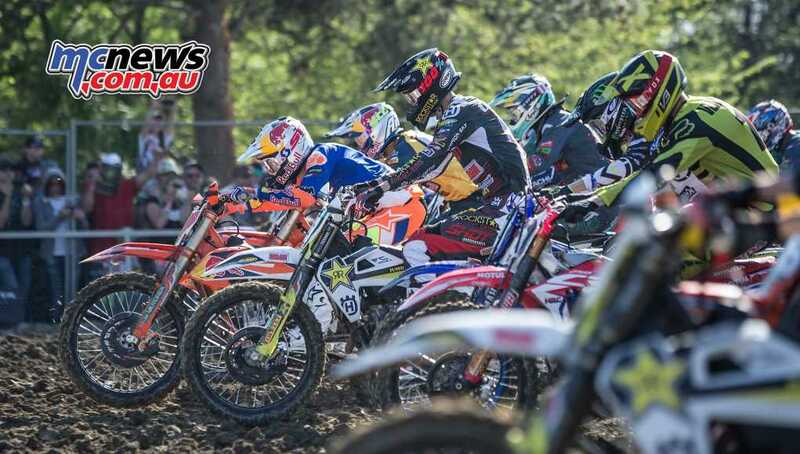 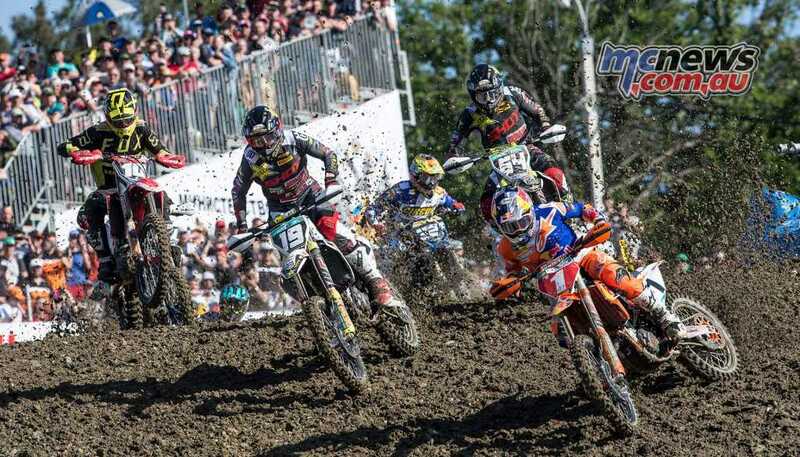 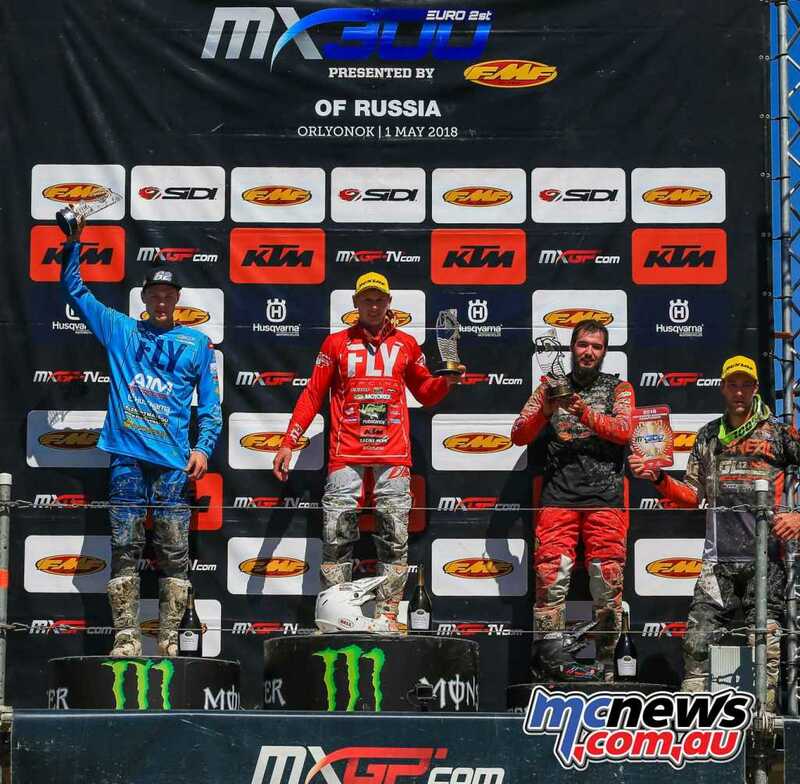 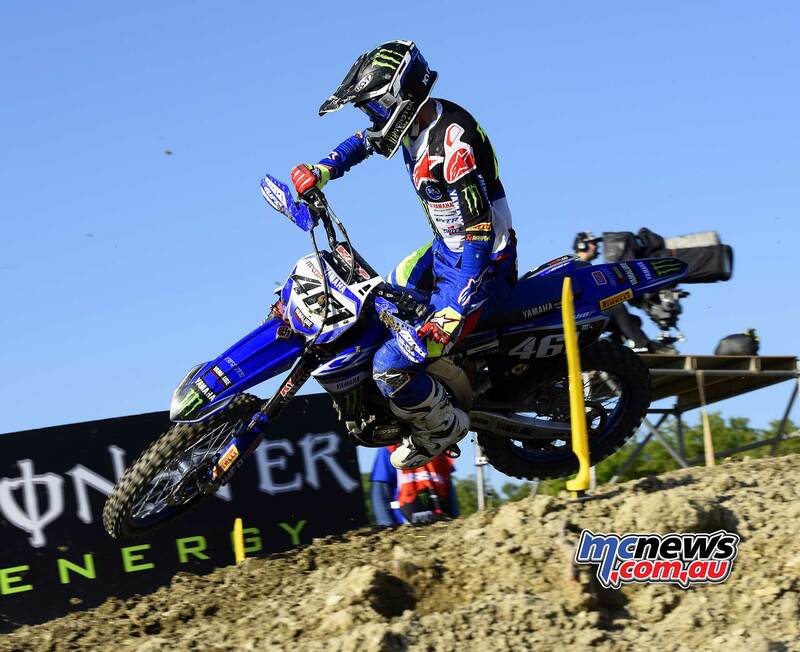 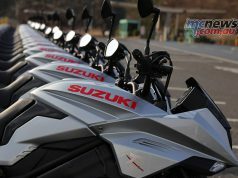 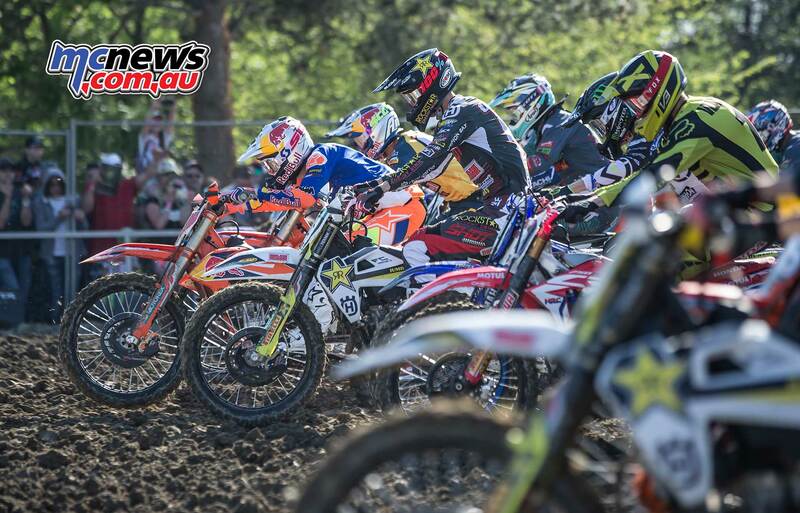 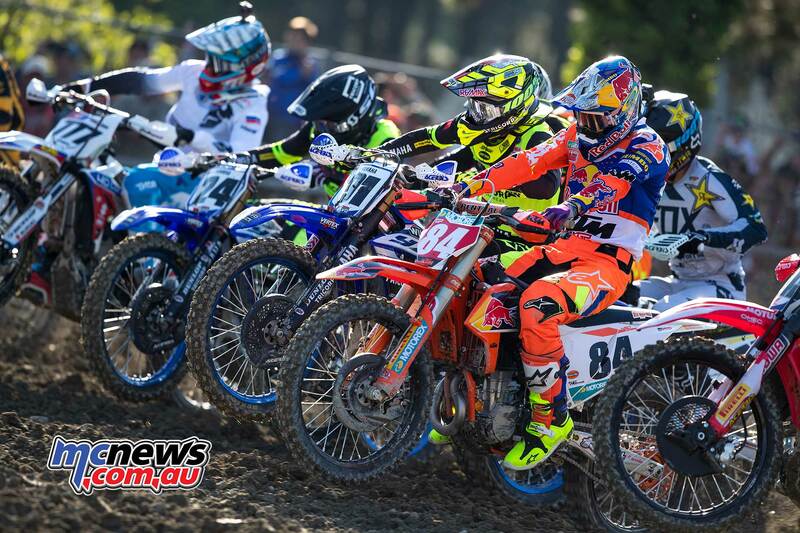 The 2018 MXGP Season’s 6th round is complete from the Russian circuit of Orlyonok which in a departure from a normal MXGP weekend saw riders race during the week with a Monday-Tuesday schedule. 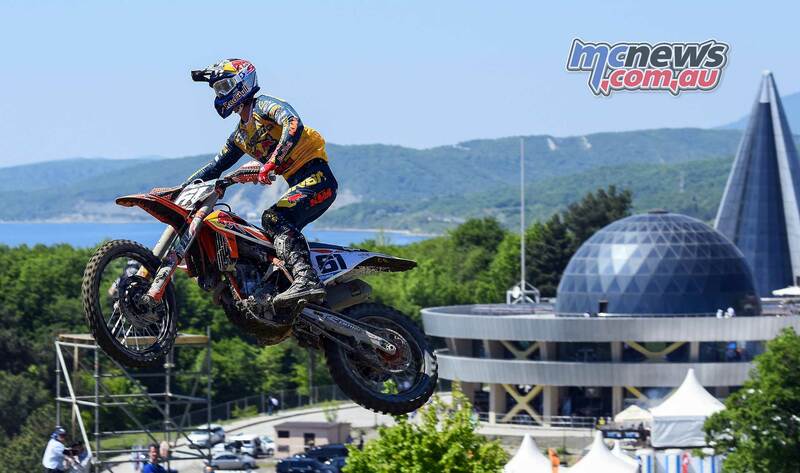 Arminas Jasikonis (LTU, Honda), +0:55.876. 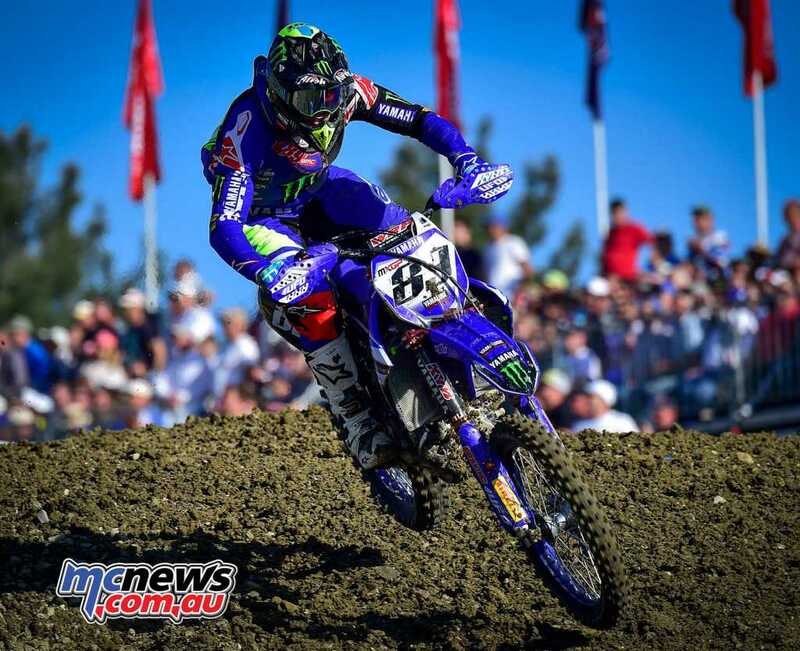 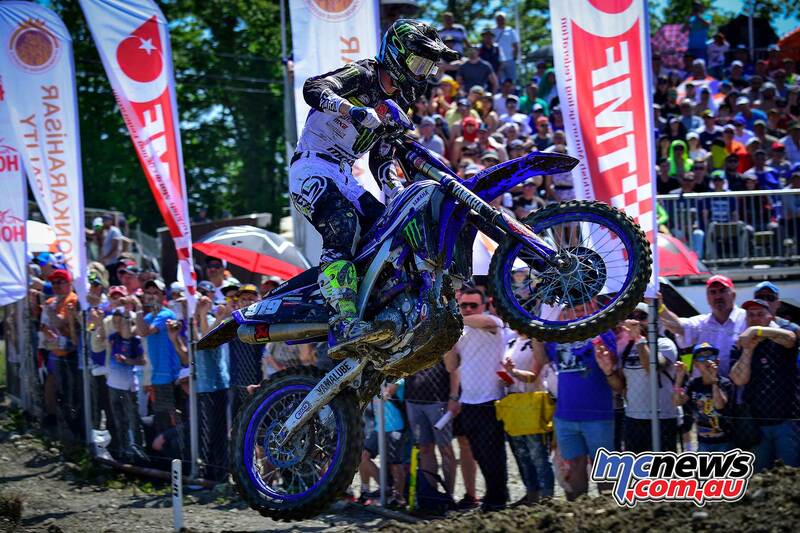 While Herlings and Desalle crossed the finish line first and second, Febvre took third from Gajser after a great battle for the position. 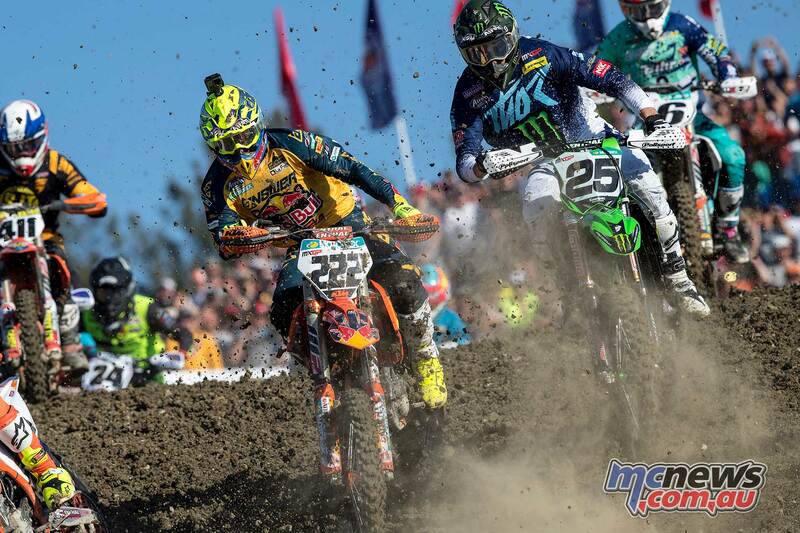 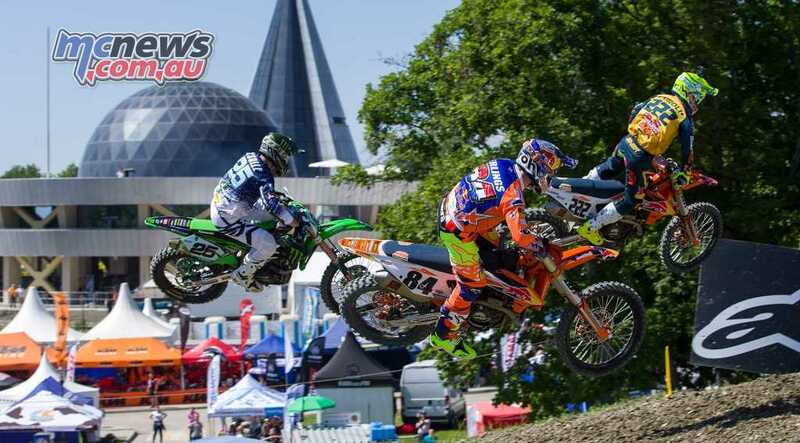 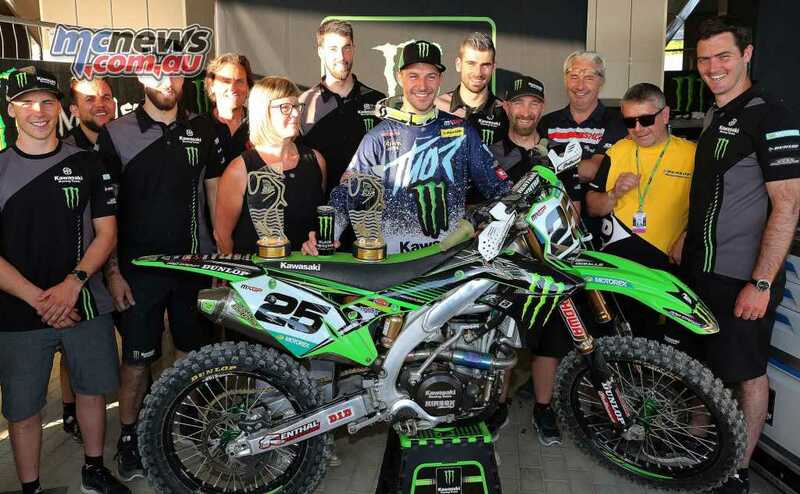 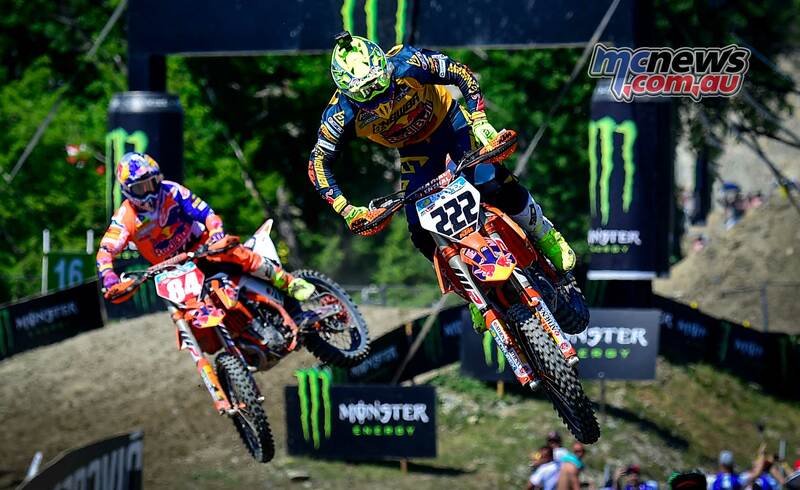 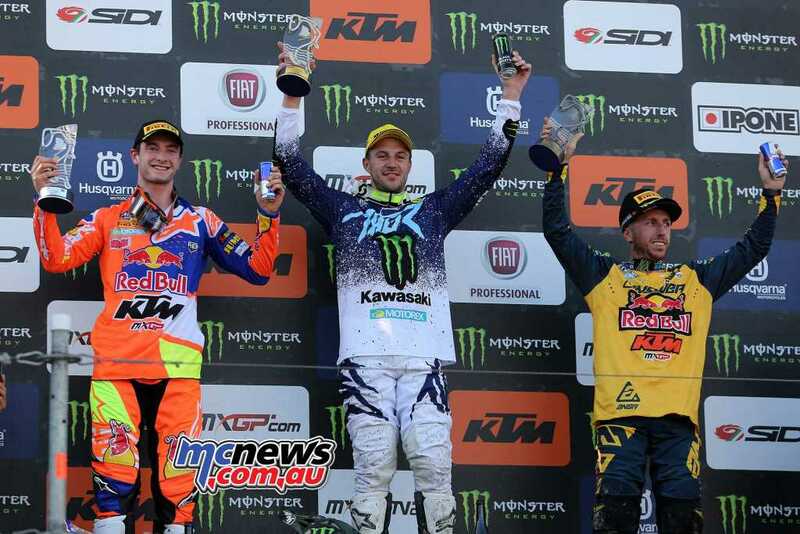 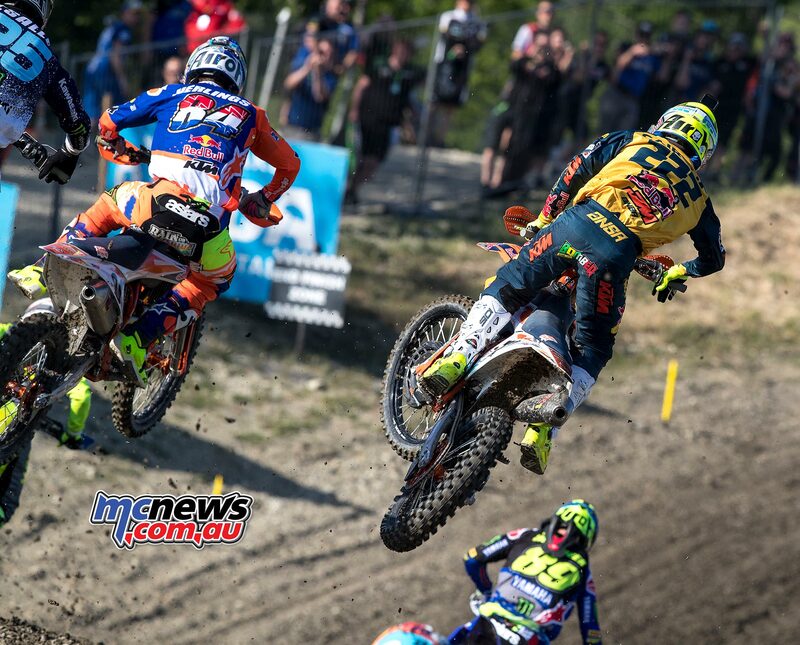 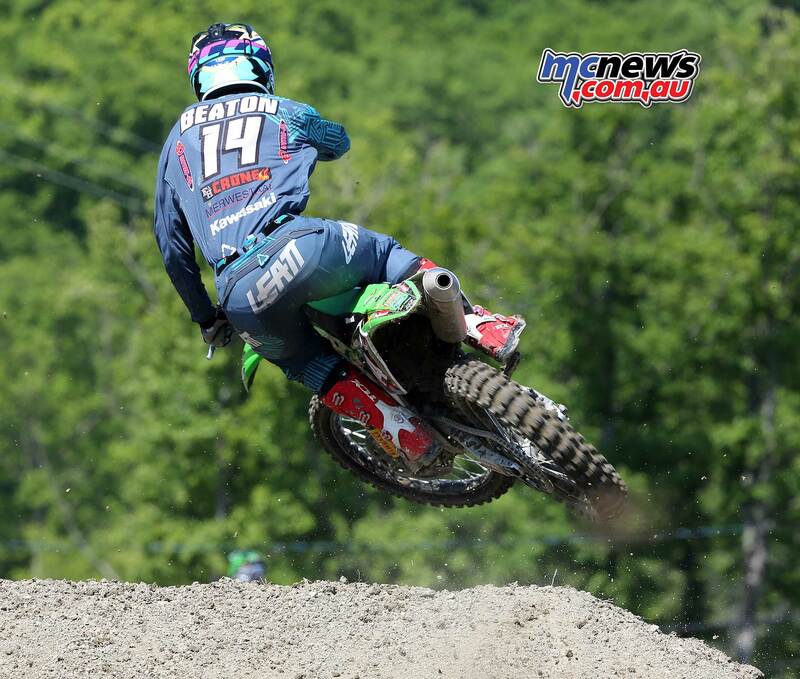 In the overall Desalle had 47 points with 1-2 finishes, Herlings 45 points going 3-1, and Cairoli 38 after his 2-5 score. 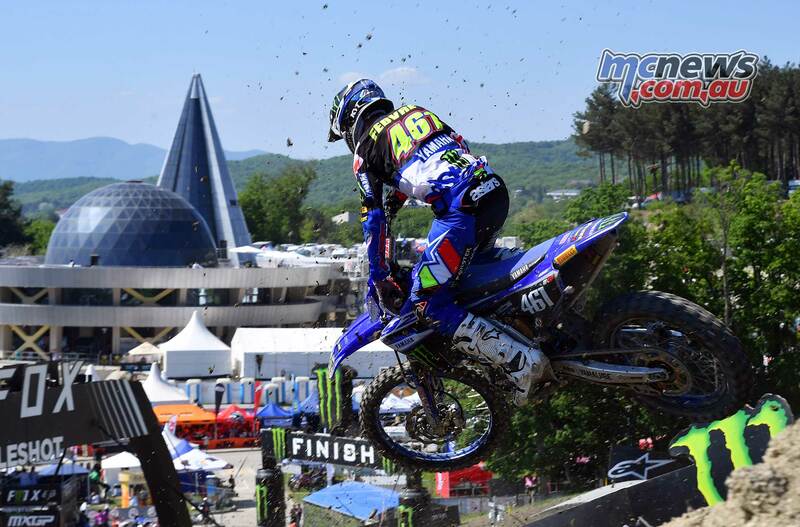 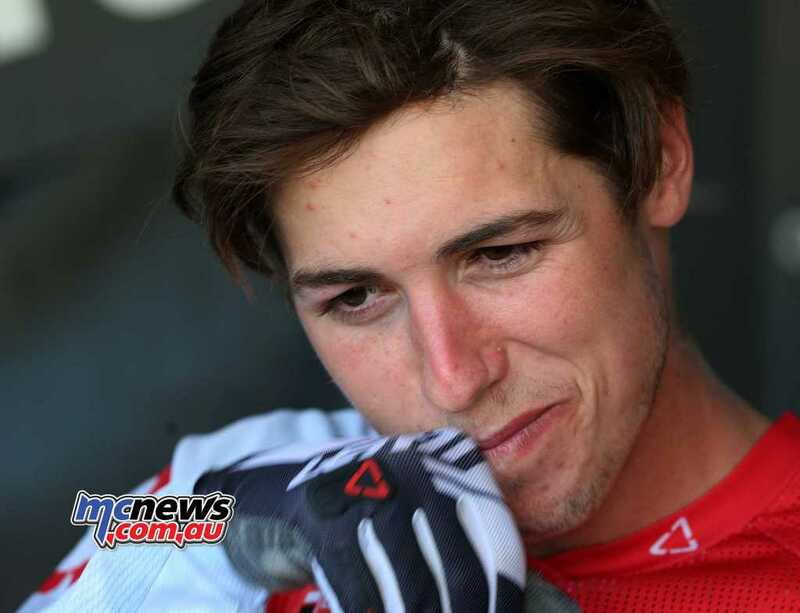 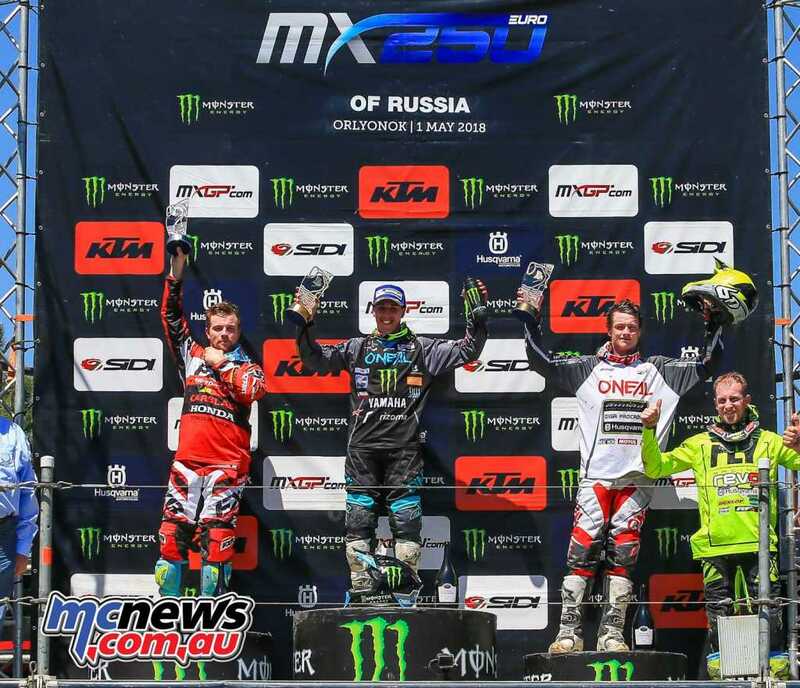 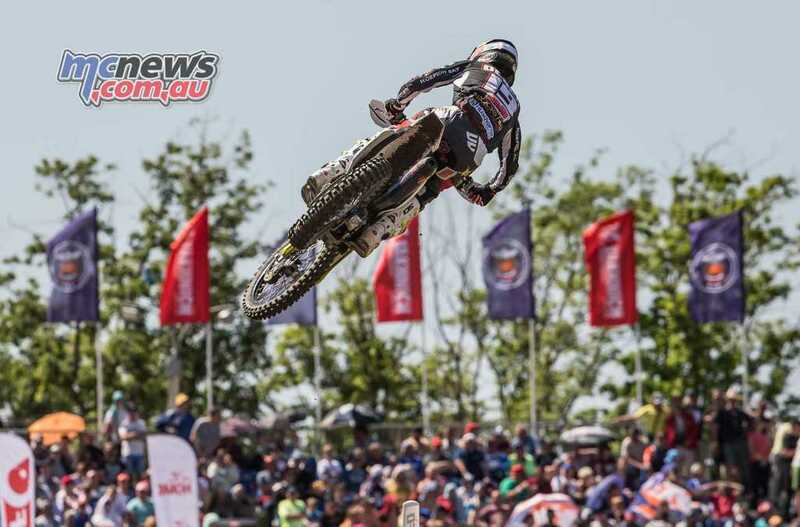 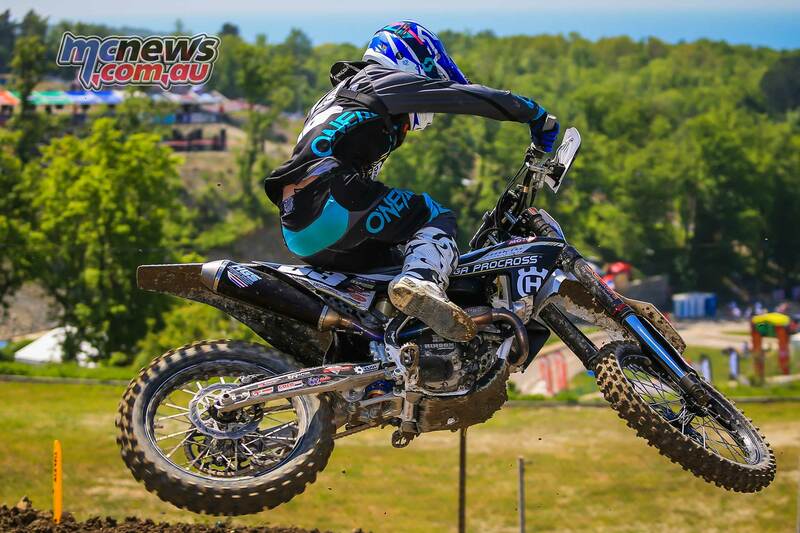 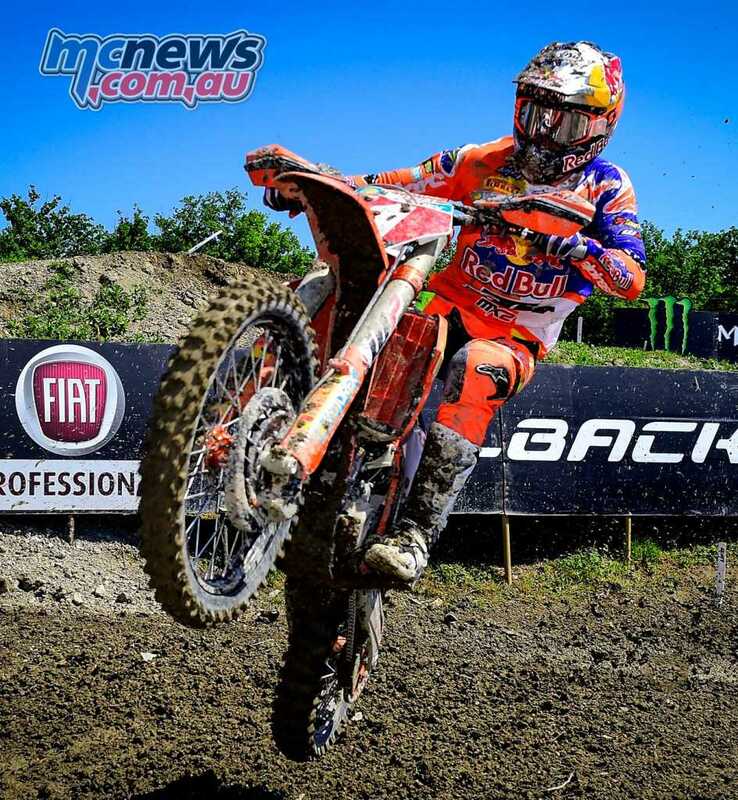 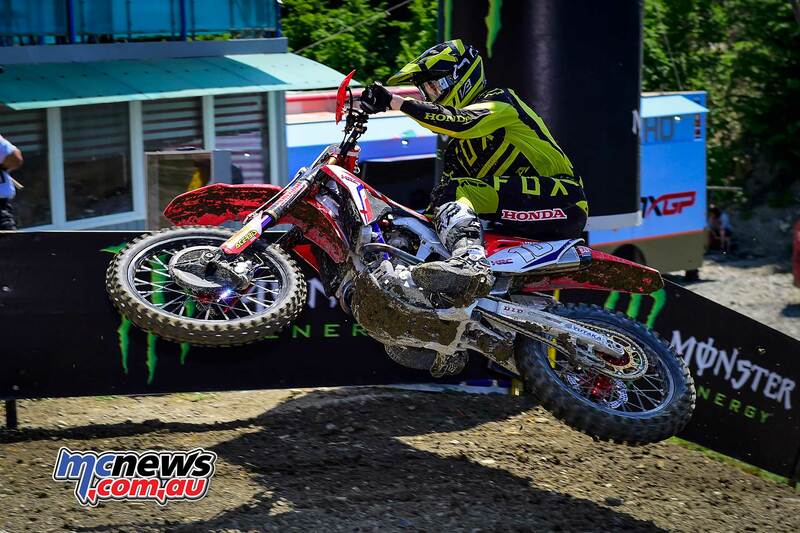 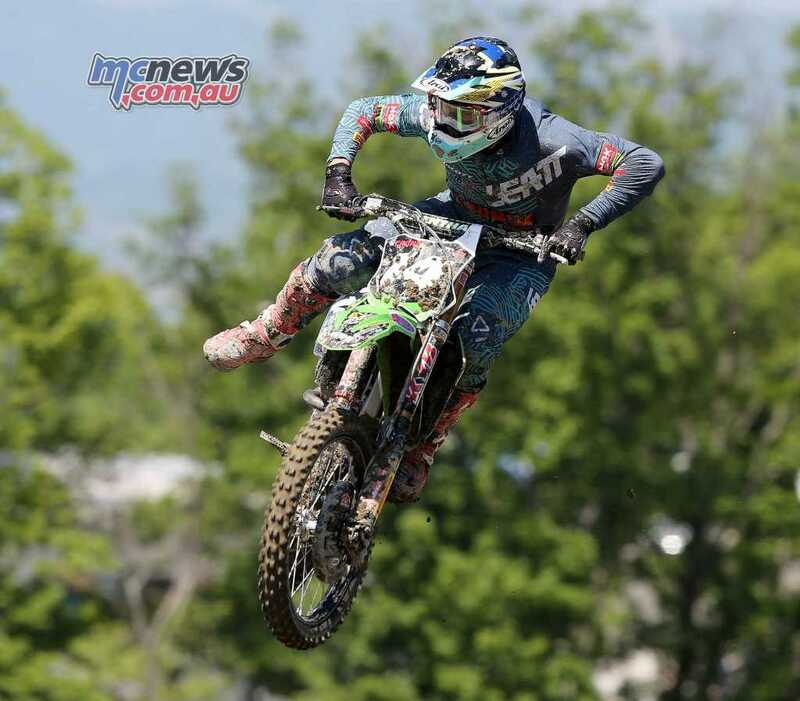 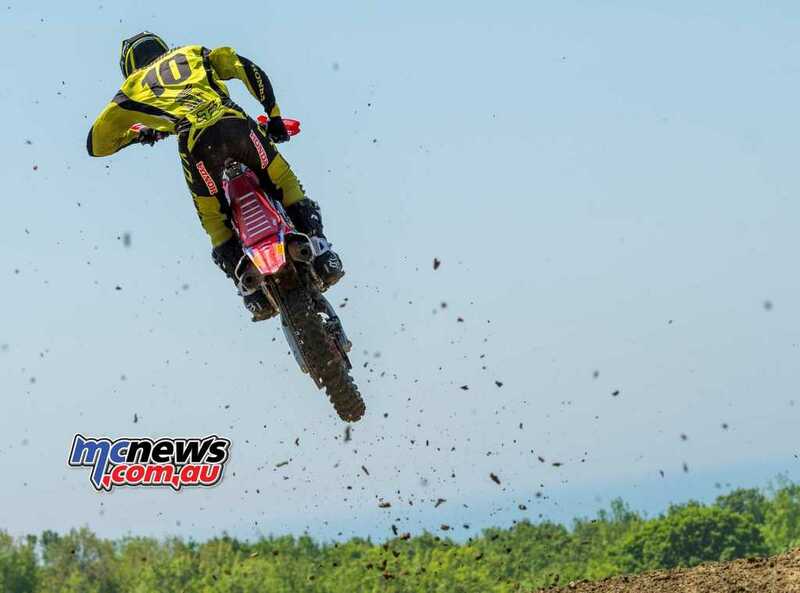 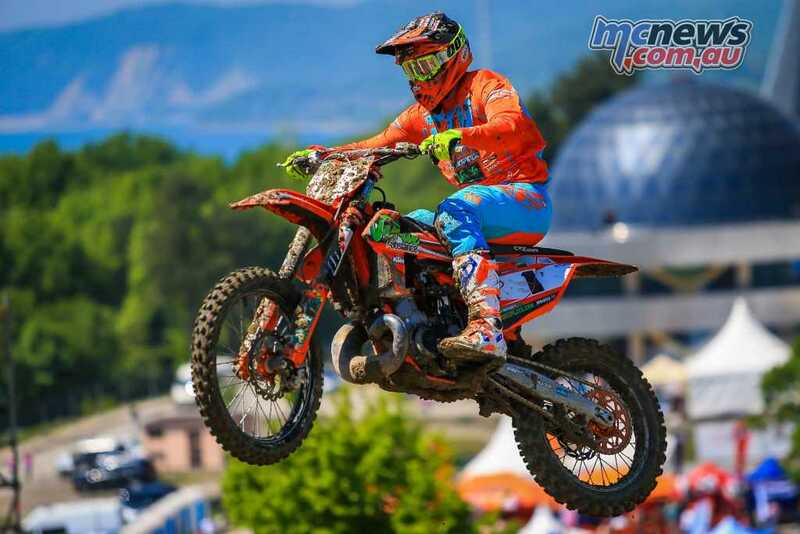 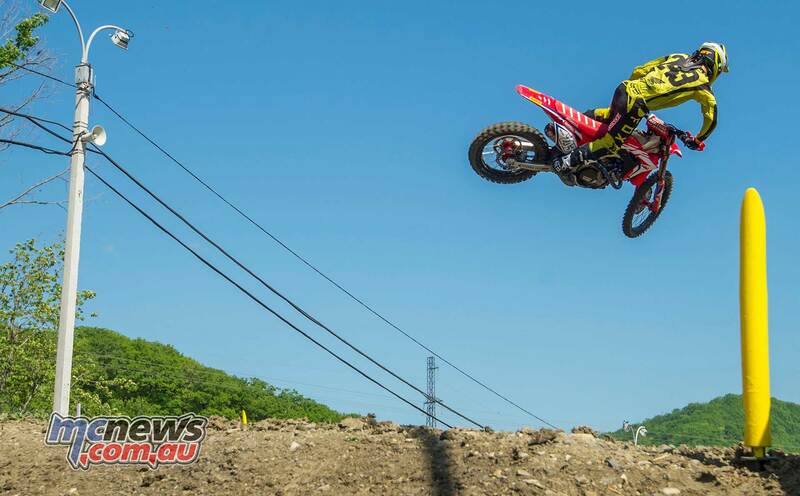 Meanwhile BOS GP’s Russian star Evgeny Bobryshev finished 14th overall at his home GP. Maximilian Nagl (GER, TM), +0:50.771. 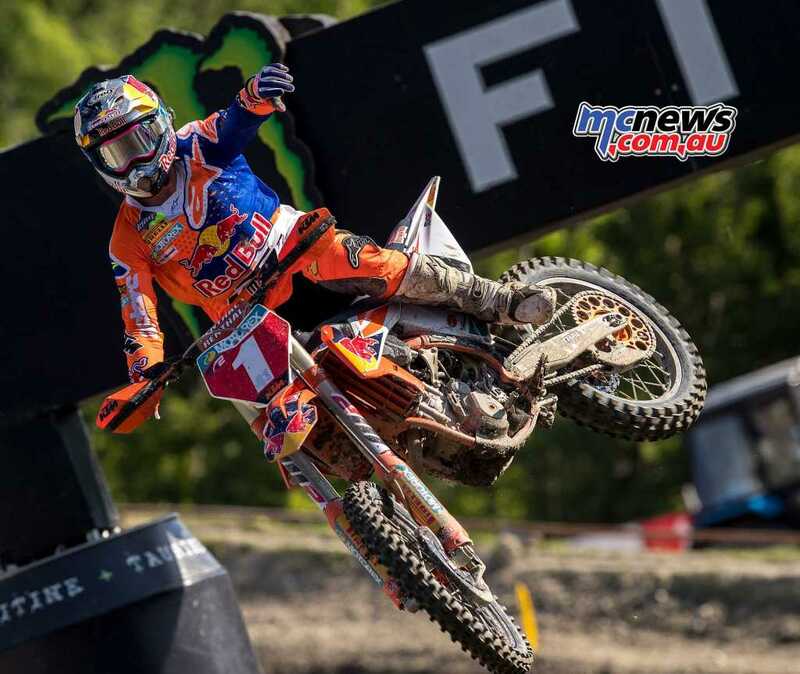 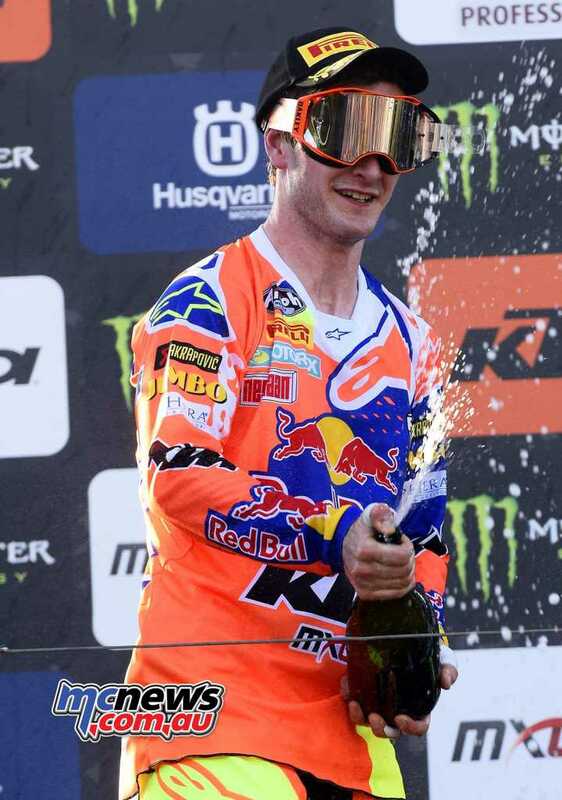 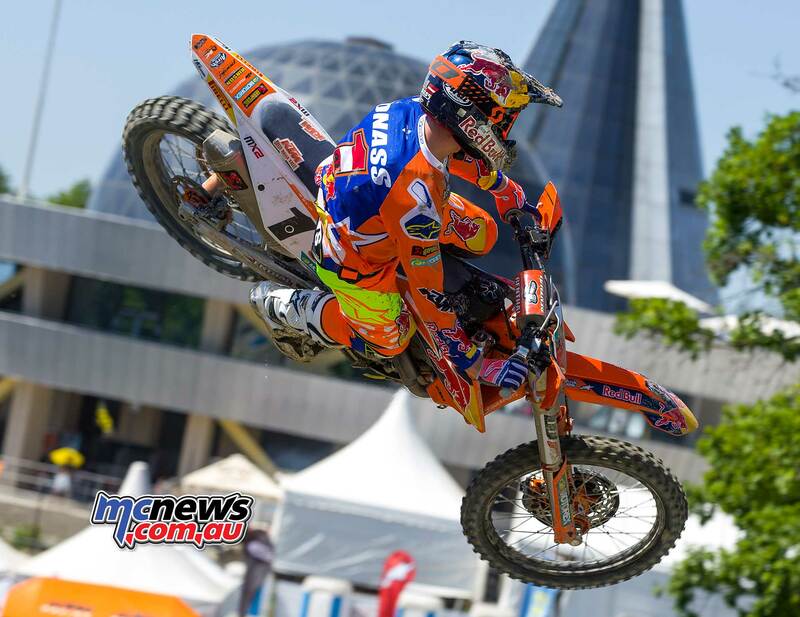 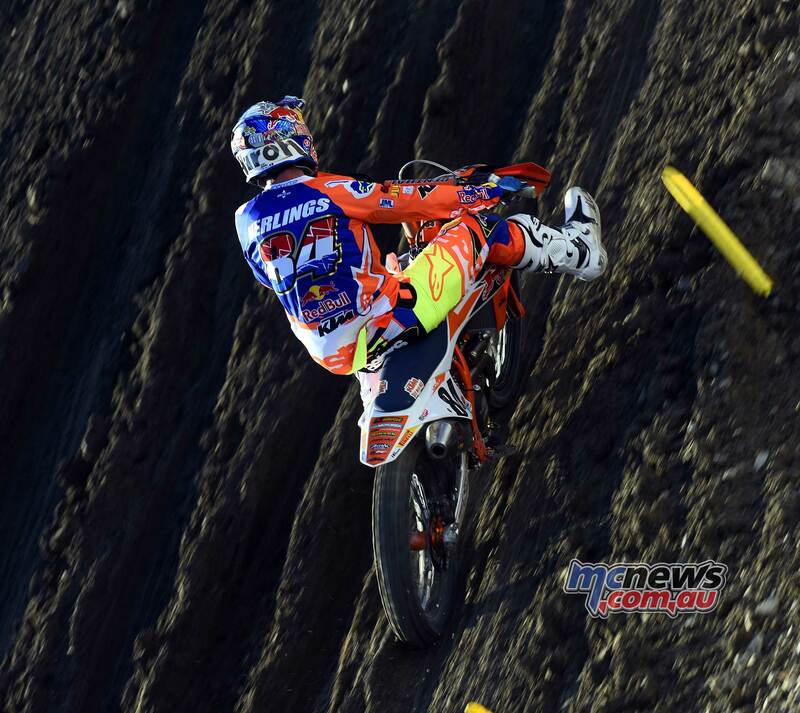 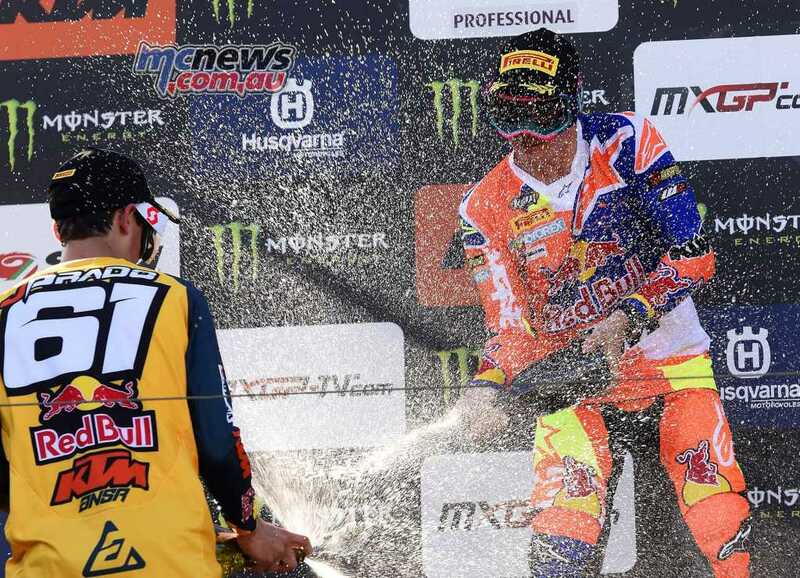 Jeffrey Herlings (NED, KTM), 45 p.
Antonio Cairoli (ITA, KTM), 38 p.
Gautier Paulin (FRA, HUS), 33 p.
Julien Lieber (BEL, KAW), 27 p.
Jeremy Seewer (SUI, YAM), 25 p.
Alessandro Lupino (ITA, KAW), 20 p.
Arminas Jasikonis (LTU, HON), 19 p.
Antonio Cairoli (ITA, KTM), 263 p.
Clement Desalle (BEL, KAW), 212 p.
Romain Febvre (FRA, YAM), 203 p.
Gautier Paulin (FRA, HUS), 180 p.
Glenn Coldenhoff (NED, KTM), 152 p.
Jeremy Van Horebeek (BEL, YAM), 150 p.
Tim Gajser (SLO, HON), 147 p.
Jeremy Seewer (SUI, YAM), 135 p.
Julien Lieber (BEL, KAW), 113 p.
Jed Beaton recovered from a hefty crash in qualifying to take eighth overall for the round and is currently fifth in the MX2 Championship Points standings. 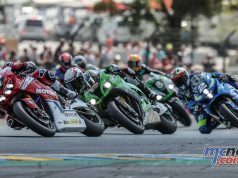 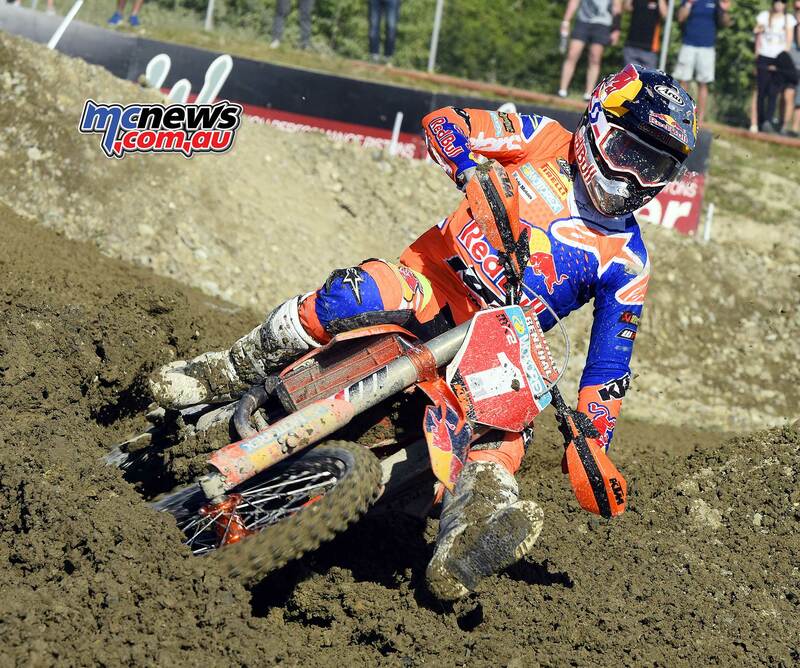 “I felt a little bit stiff this morning during the warm-up as I had a pretty big crash yesterday during the qualifying race. 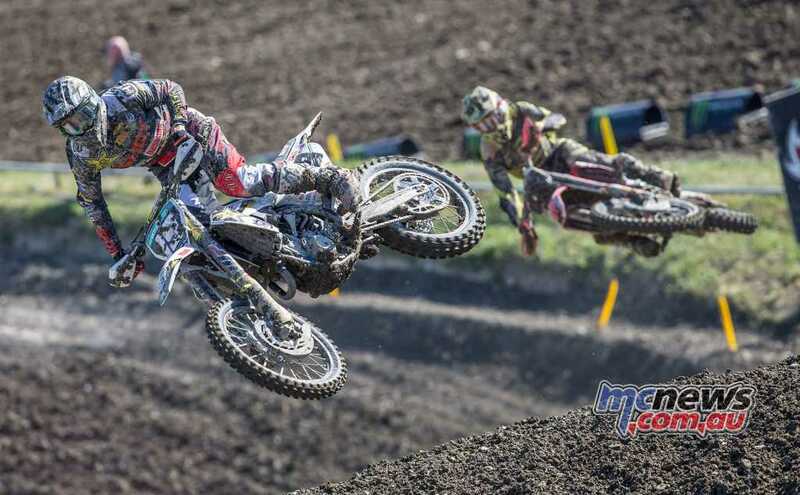 My first start was OK but I collided with Brylyakov in the first turn; I still managed to come back to eighth so I was pretty happy with that ride. 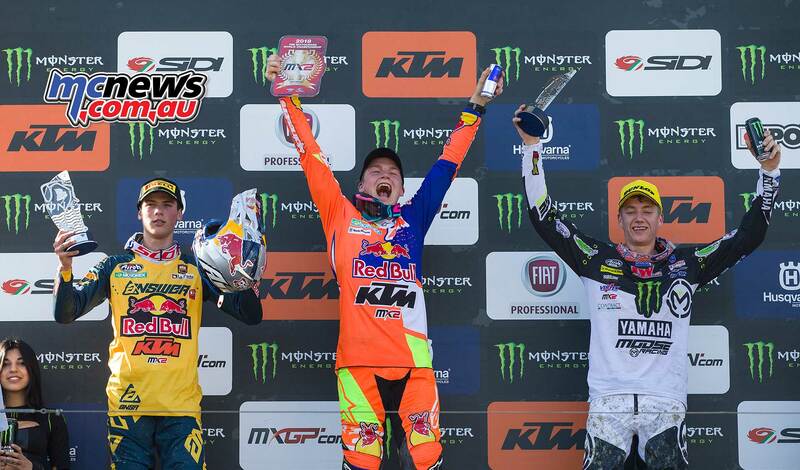 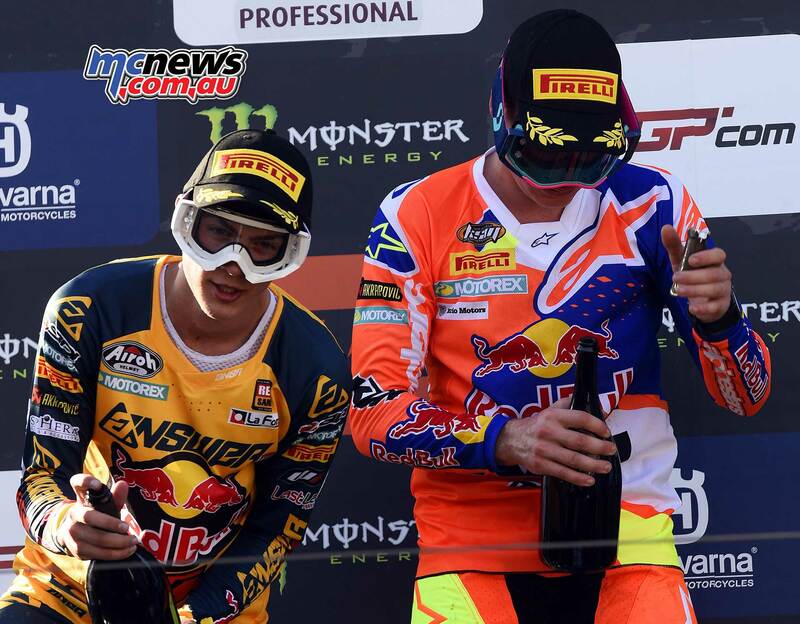 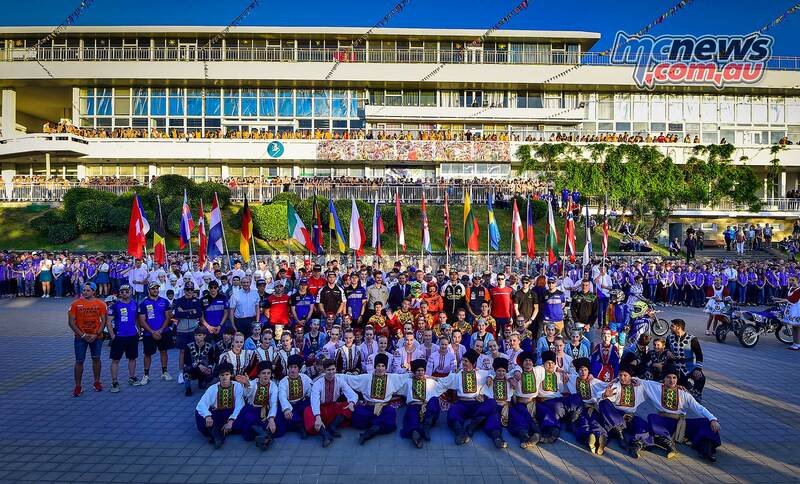 Jorge Prado (ESP, KTM), 44 p.
Ben Watson (GBR, YAM), 35 p.
Michele Cervellin (ITA, HON), 34 p.
Calvin Vlaanderen (RSA, HON), 33 p.
Stephen Rubini (FRA, KTM), 29 p.
Jago Geerts (BEL, YAM), 21 p.
Iker Larranaga Olano (ESP, HUS), 21 p.
Jorge Prado (ESP, KTM), 246 p.
Thomas Kjer Olsen (DEN, HUS), 219 p.
Ben Watson (GBR, YAM), 176 p.
Jed Beaton (AUS, KAW), 156 p.
Calvin Vlaanderen (RSA, HON), 130 p.
Vsevolod Brylyakov (RUS, YAM), 127 p.
Conrad Mewse (GBR, KTM), 108 p.
Henry Jacobi (GER, HUS), 104 p.
Thomas Covington (USA, HUS), 102 p.
With 2 laps remaining Lapucci made a pass on Walsh for second and on the final lap of 17 Yamaha SM Action’s Maxime Renaux took another position from Walsh to finish 3rd. 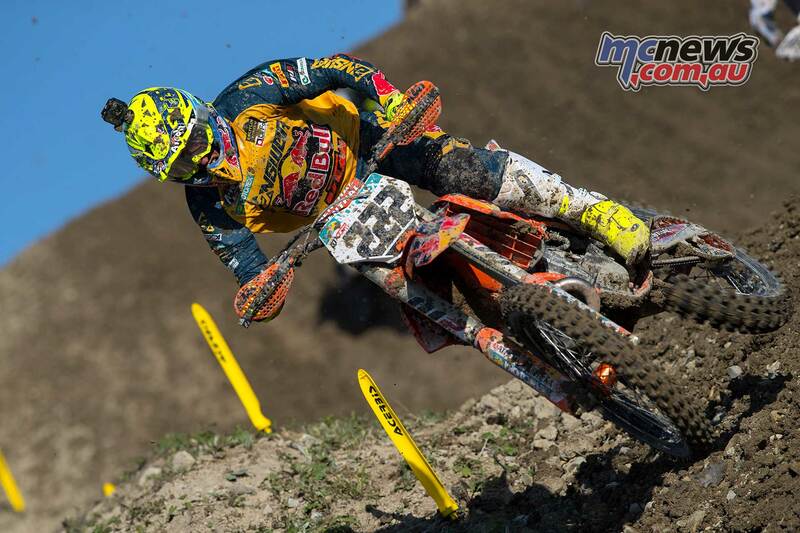 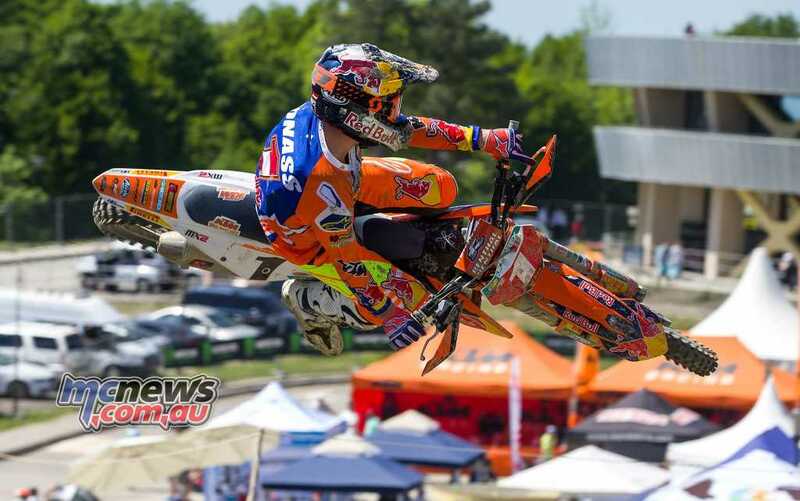 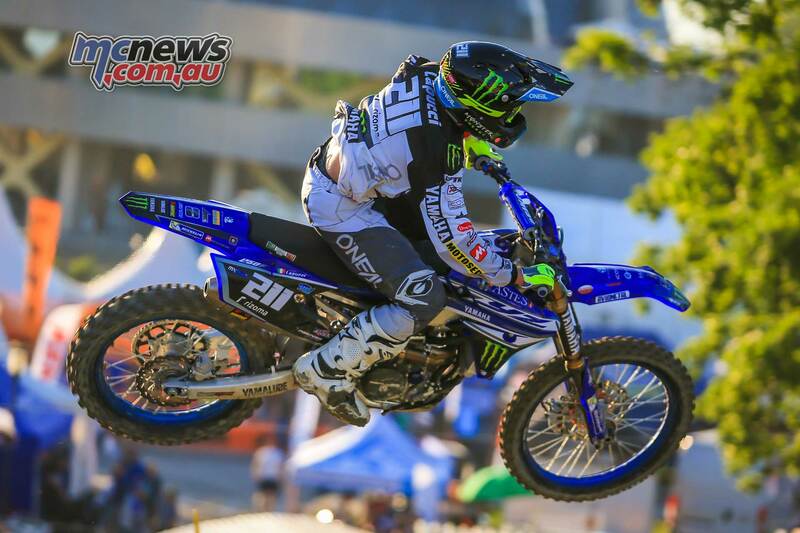 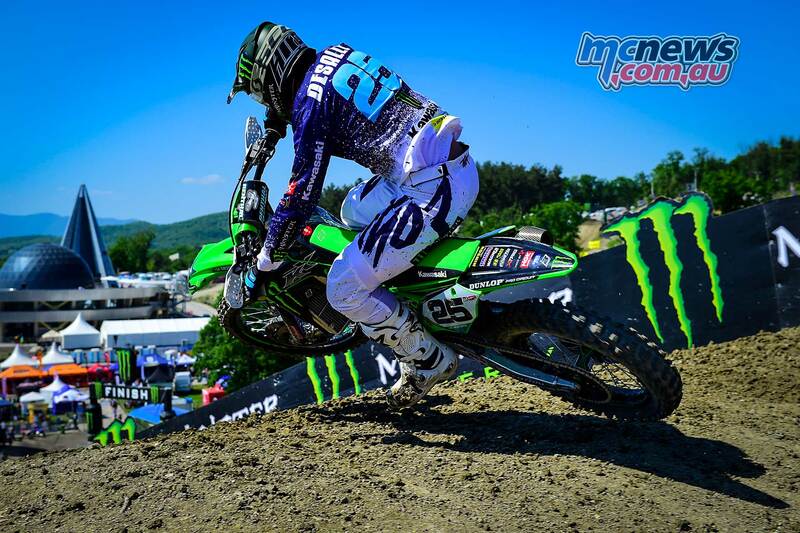 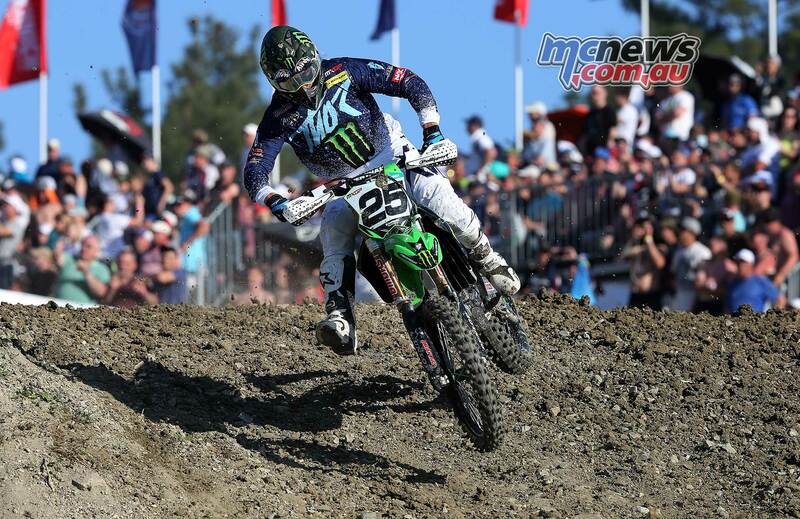 In the overall standings Nicolas Lapucci took his career first EMX250 win with Clarke 2nd and Walsh 3rd. 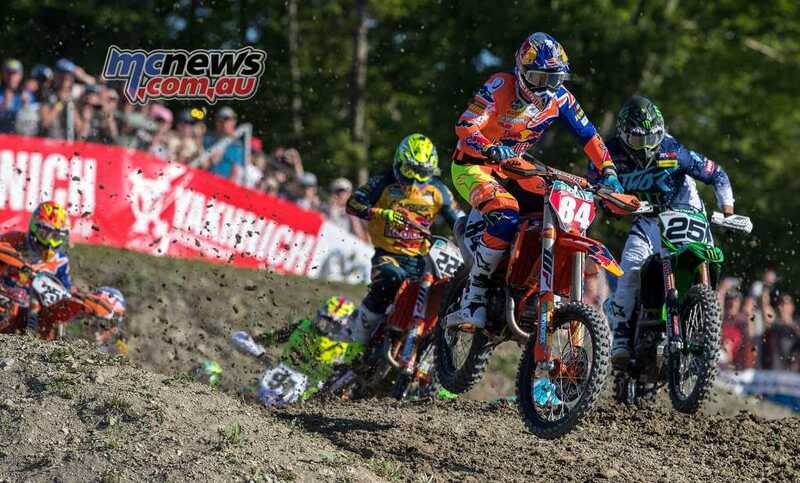 Martin Barr claims the championship leaders red plate ahead of Walsh while Pocock dropped to 3rd. 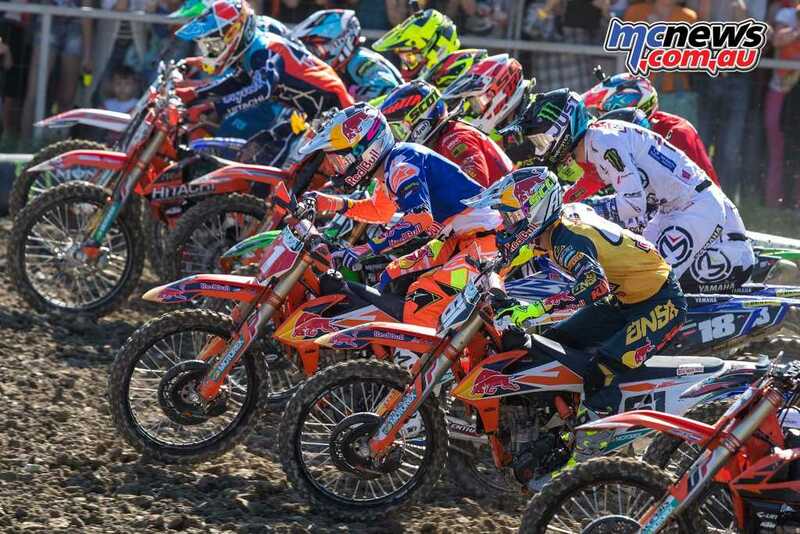 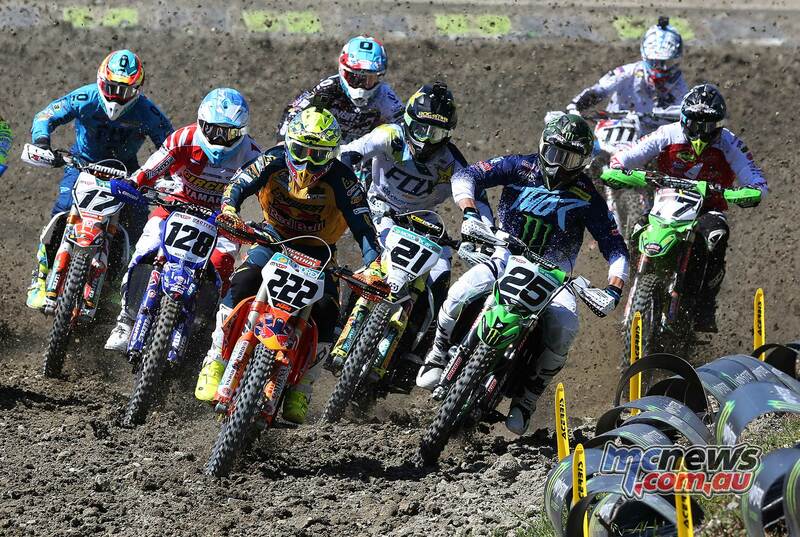 EMX250 Overall Top Ten: 1. 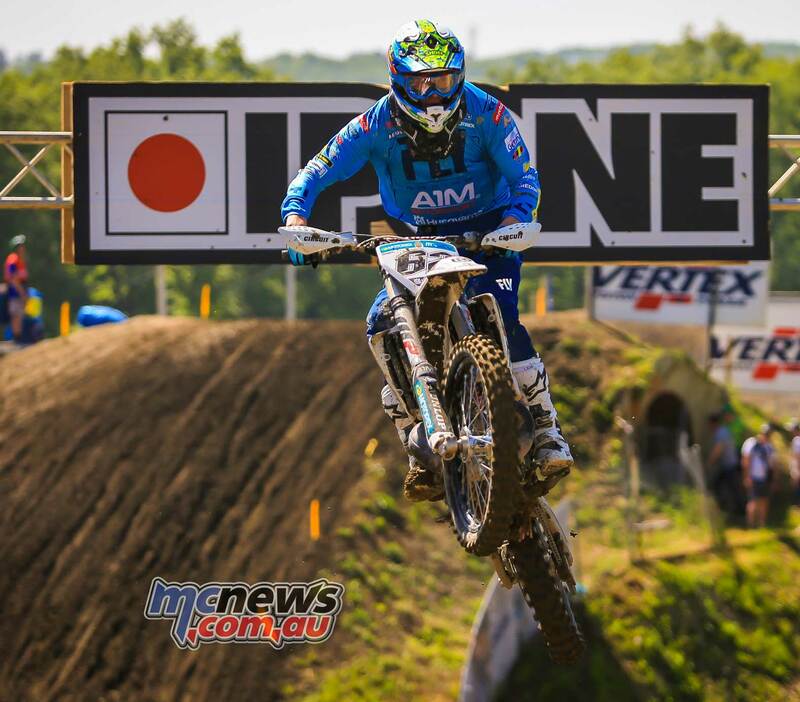 Nicholas Lapucci (ITA, YAM), 42 points; 2. Steven Clarke (GBR, HON), 36 p.; 3. 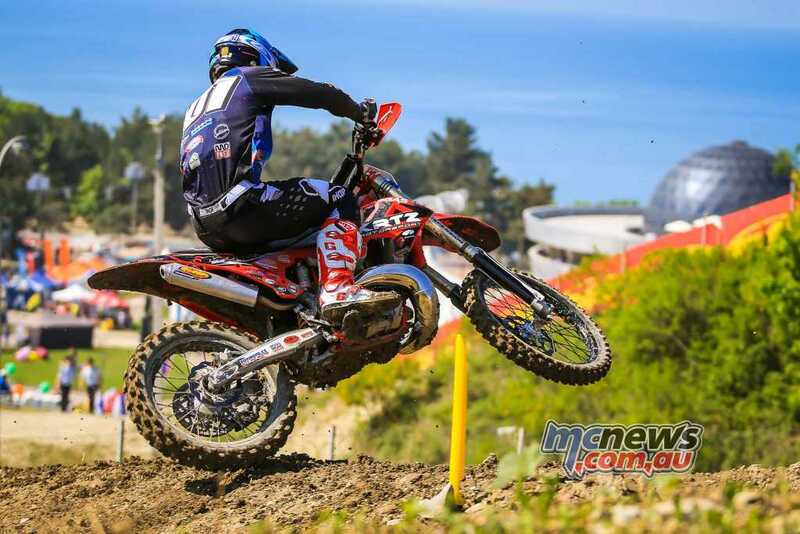 Dylan Walsh (NZL, HUS), 36 p.